I am approximately 8 months late with this entry. I've been busy, I suppose. 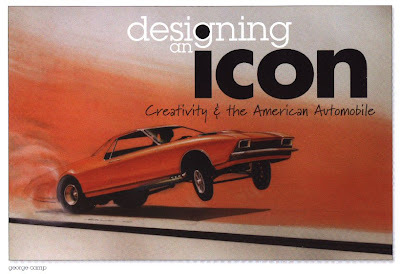 The designing an icon exhibition at the Elaine L. Jacob Gallery of Wayne State University was held from November 21, 2008 through January 16, 2009. I had meant to get there between Christmas and New Year's Day, but kept procrastinating until January 15 to finally see it. Because of this, I think, Eliot and I had the entire gallery to ourselves. As I've blogged here before, Eliot is my (award winning!) 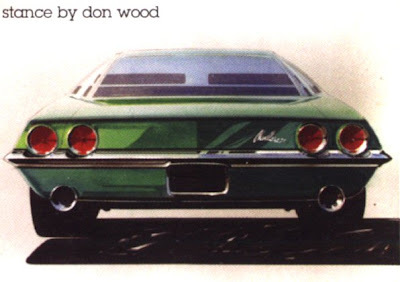 son, a future car designer, and so this exhibition, subtitled Creativity and the American Automobile, was doubly pleasant because he was with me to discuss the art. 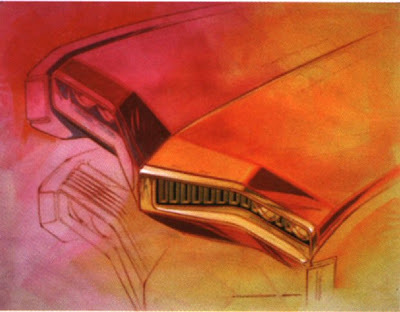 Many of the designs brought an instant nod of recognition, since the concepts were later incarnated into sheet metal. 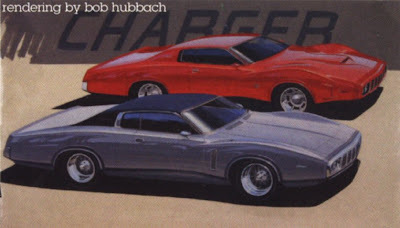 For instance, this one by Bob Hubbach, is even labeled "CHARGER". 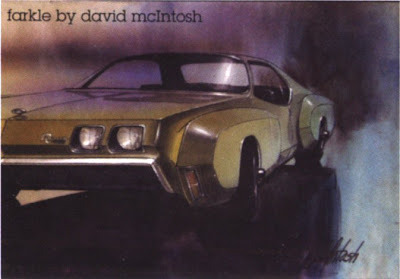 This one by Don Wood, though looking like a Camaro, was a Chevelle concept if I'm not mistaken. The quality of the drawings and paintings at this exhibit was spectacular, including some photorealistic paintings. 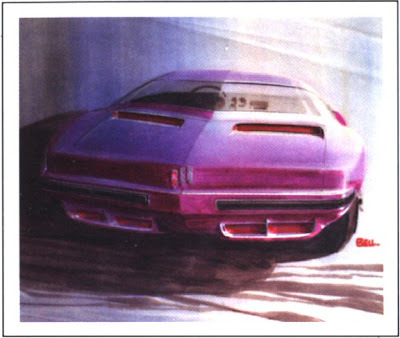 And this one (by David McIntosh) is entitled, Buick Riviera proposal with separate fender forms. If you've followed this blog for a while, you can imagine that while this approached being a religious experience for me and Eliot, it was not without sadness. 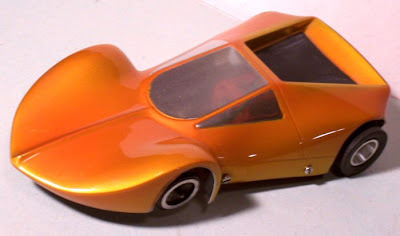 For today, function has essentially obliterated form, and almost all cars are ugly. Wherever you see an intersection between fine art and muscular automobiles, it is a good bet that you will see the Hot Rod Anglican there!